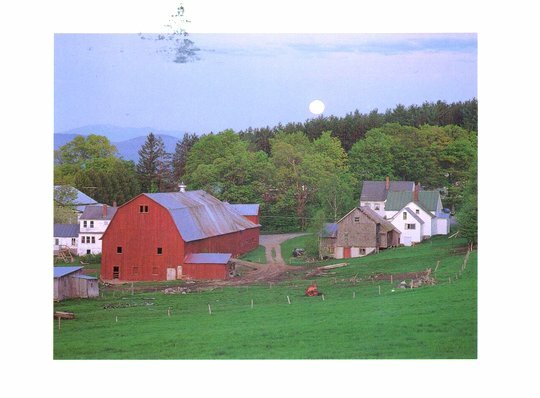 Red gambrel barn and farmhouse. Peacham is a town in Caledonia County, Vermont, United States. The population was 732 at the 2010 census.